find financiers for your projects. Stop scrolltext by mouse click! If you need money for your projects, venture capital to set up, expand or restructure your business, or investors to implement new ideas, you will find the ideal partners here. Proma-Investment, one of the largest databanks worldwide, comprises thousands of investors. Click here for more information. Find the best money loans for business or private use. Our database comprises thousands of contacts to private investors for venture capital financing. Learn how to get funding for your business, start-up or financial reorganization from private investors. Get the best offers for your credit. For investors we offer the best investment for your needs free of charge. 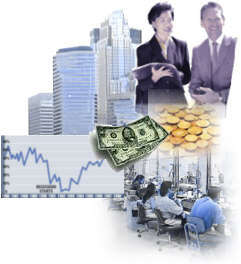 You will also find contact to business angels, angel investors, investment firms. Lots of information for entrepreneurs and investors. Proma - investment is one of the biggest databases worldwide. Our service could help many entrepreneurs in the past to get funds for their enterprises and to find the right partners for their business. It applies to you to convince the potential partners. Therefore you should try to see your project with their eyes. The earlier you get in contact to the them the better. In discussions with potential fund providers you will learn what is important for them and what they require. The first thing is the idea and the plan how to realize it. All has to be conclusive and practicable. Possible problems, if there are no solutions for, will deter funding partners. Your concept has to stand a critical inspection of specialists. As important as the idea and the concept there are the people behind the project. Lenders don´t put money into ideas, but in the team that realizes the ideas. No matter for what you are looking for funds you don´t sell your project only, you always sell your personality as well. So you should be able to explain why especially you, your team or your leading personal are able to bring a project to a successful conclusion. For a start-up a detailed concept in writing, called a business plan is indispensable. The business plan is more than only a description of a project. It is the realisation concept, it provides information about the management of a company, contains resources of turnover and expenses, of profits and growth of the business. regularly the newest information about money procurement free of charge.